The Day I Ate Cakes For Lunch. Was invited by The Audacious Cakery to try out their cakes, so me and bf dropped by the pretty shop at Everton Park one lovely afternoon! Totally in love with their white and clean decor! 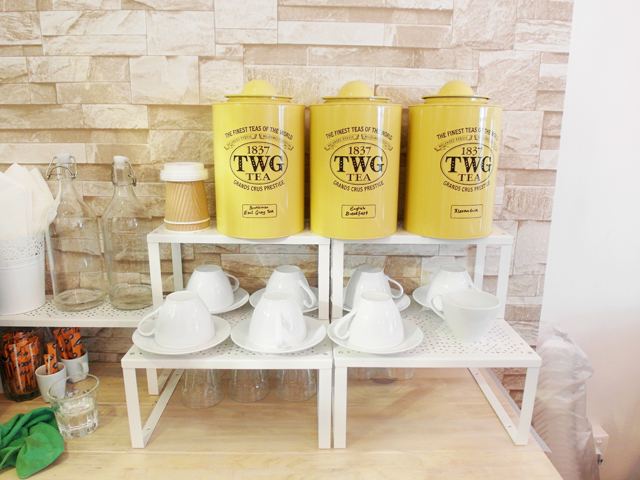 Simple and serene in a quiet neighbourhood, it's a perfect place for afternoon tea and a book! 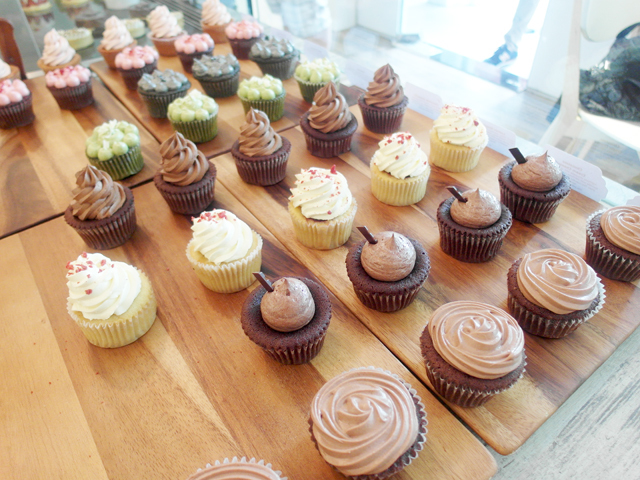 So many cupcakes on display, so difficult to decide which to have, so excited to start! 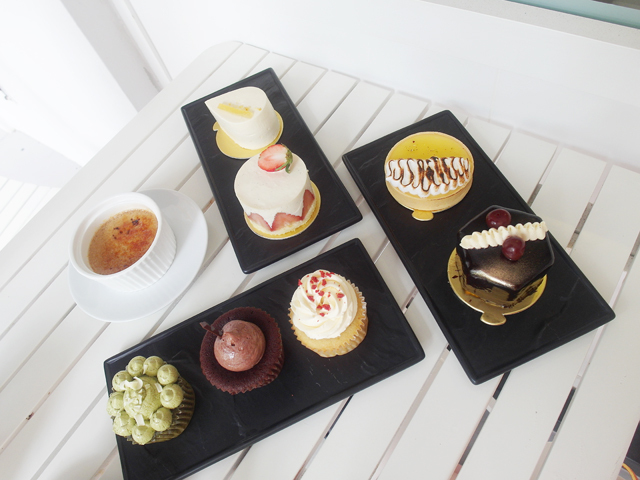 Nicholas chose a variety of cakes, cupcakes, and other desserts for us to try! Here they are! Every single cake is so pretty! 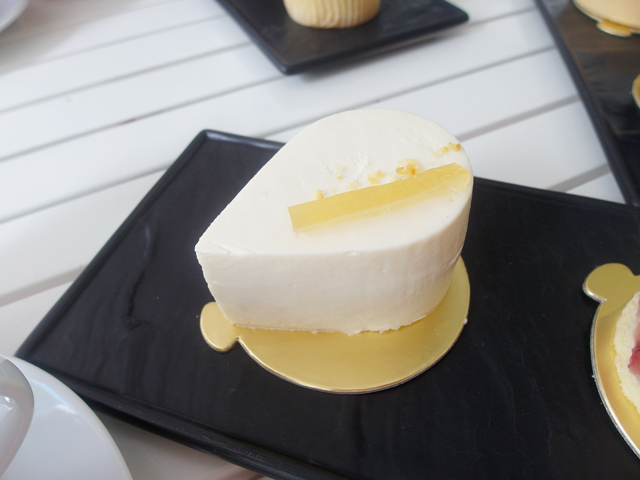 This is Zen, their fresh new yuzu creation on the day we tried it! 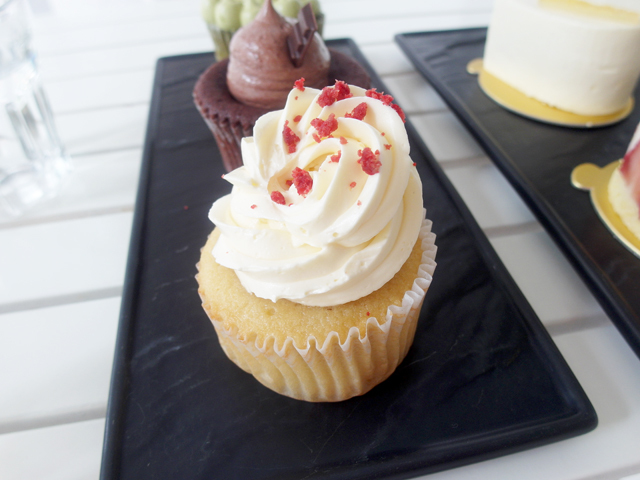 The flavour is light, perfect for people who do not like their cakes too sweet or too thick. Chocolate Cream Cheese! 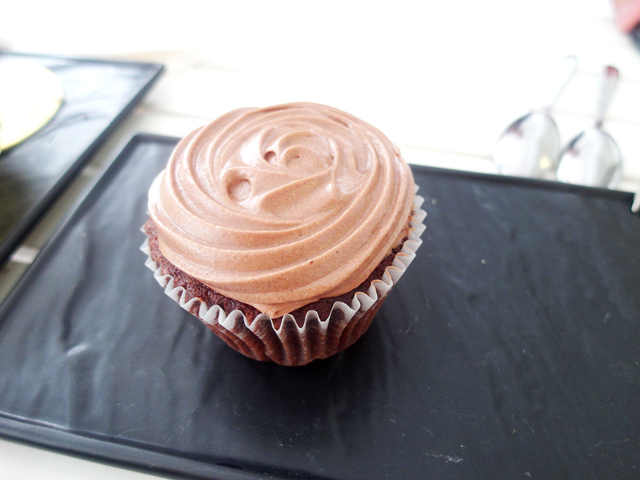 The cream cheese and chocolate cupcake makes a great combination! 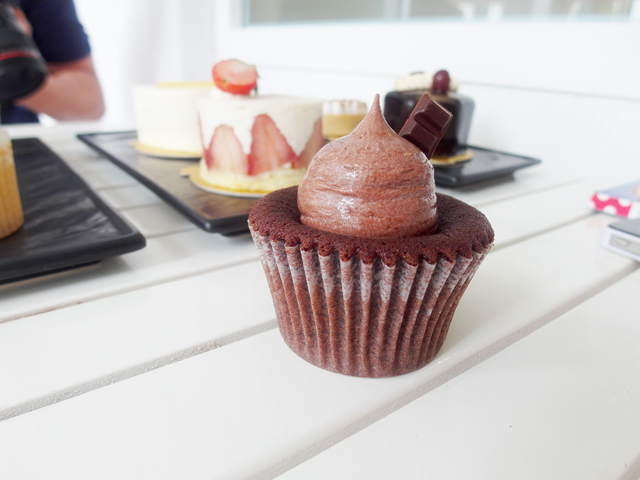 This is one of the must-try if you like chocolate. 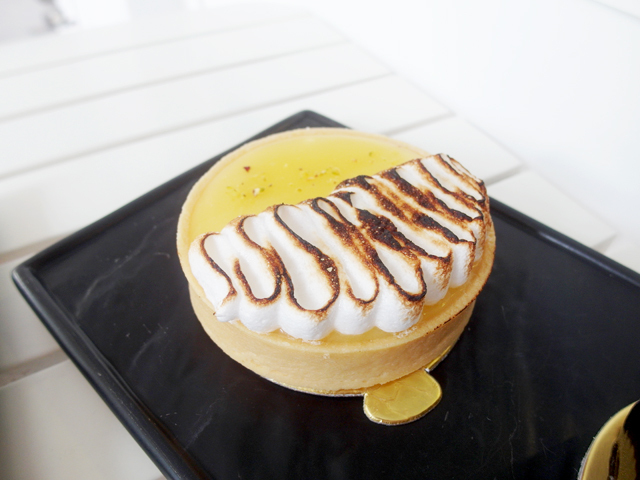 Lemon Meringue - This dessert is many's favorite so how did this one fare? It was super sour initially but I got hooked after the first bite! The sweet meringue complements the sourness of the filling really well! 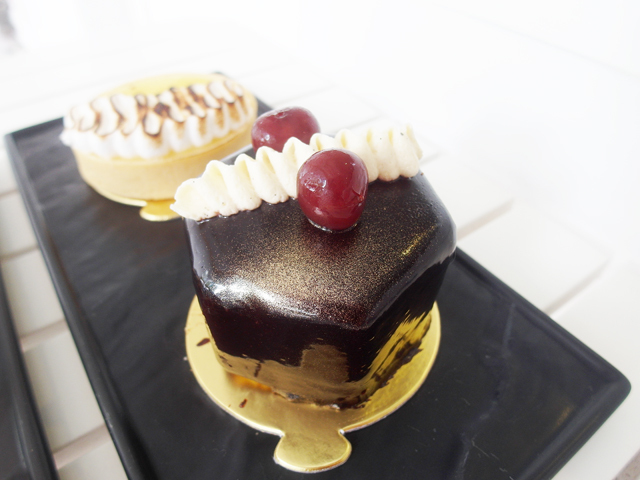 Foret Noir - Dark chocolate cake with alcohol in it, as well as cherries soaked in alcohol. Definitely a must try for people that love alcohol. Haha. Bf loved this although he doesn't really drink alcohol. I think he liked the thick chocolaty taste! Strawberry Shortcake - My first choice! 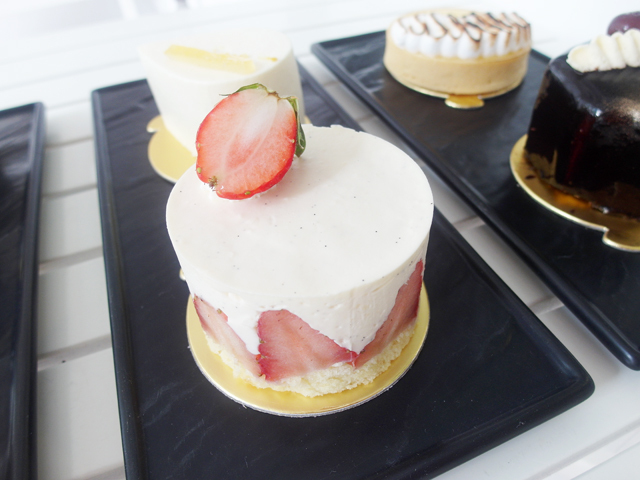 The white sponge is soft and fluffy, layered with luscious vanilla cream and strawberries, which was extremely yummy. It is not too sweet too, which is good because I prefer light taste! Lemon Raspberry - This has a raspberry jam surprise core! Another classic cupcake done well. 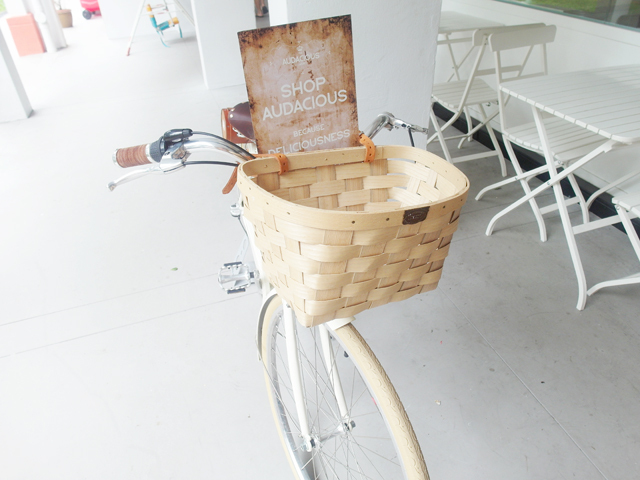 I really have to say that the cupcakes at Audacious Cakery is audaciously delicious! The different flavors went well with the texture of the cupcakes! Earl Grey Creme Brulee - Creme Brulee is one of my favourite desserts due to the burnt caramel on top and soft pudding-like insides. This one at Audacious Cakery takes a step further by using TWG Earl Grey Tea leaves in this custard dessert for another taste dimension! Matcha - This one needs no introduction, green tea cake topped with matcha buttercream on top! 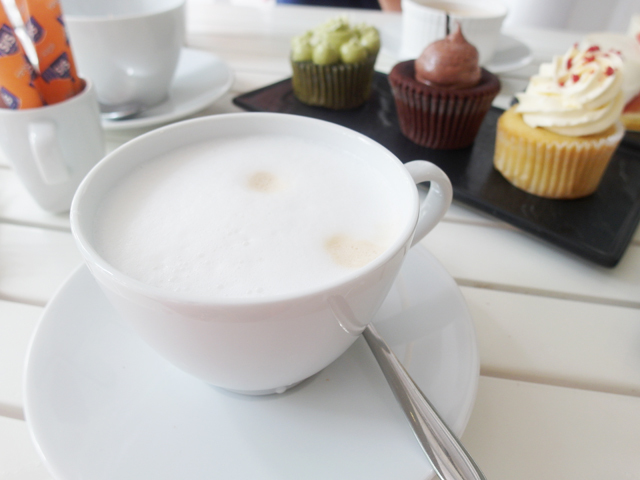 Ordered coffee to go with the cakes, while bf ordered tea. Perfect! 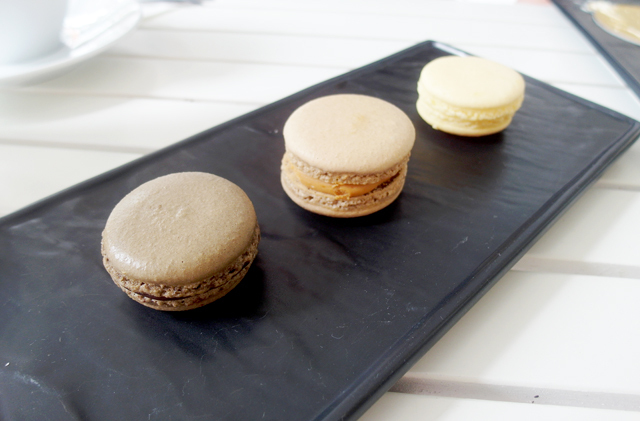 As if what we had wasn't enough, Nicholas add these lovely macarons on our table! 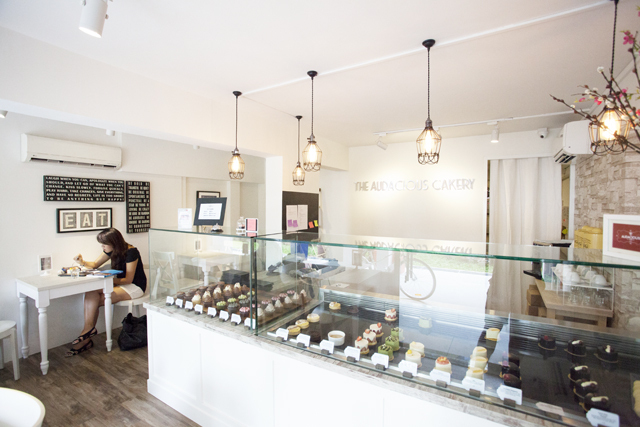 I liked their macarons very much! It had the right texture and chewiness to it! Irish Cream Alcoholic - Even more alcoholic than Foret Noir, here's another alcohol-infused cupcake which Nicholas brought out just when we thought we were almost finishing! This one is a Guinness stout cupcake with whiskey genache filling and baileys irish cream cheese frosting! Was super full after all the cakes Nicholas placed on our table, I felt extremely lucky I didn't have lunch beforehand else I am sure I cannot finish all that! 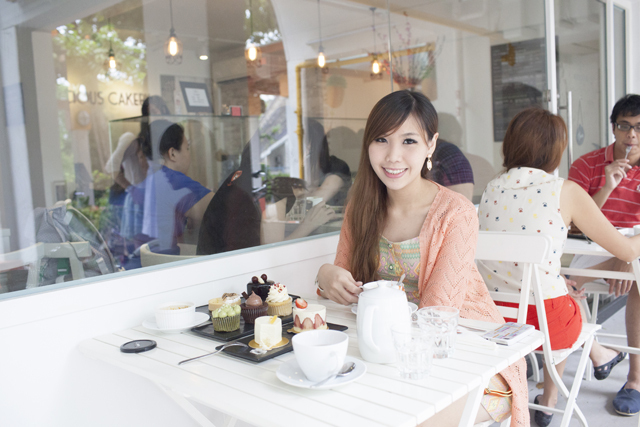 Do drop by for tea some day~!